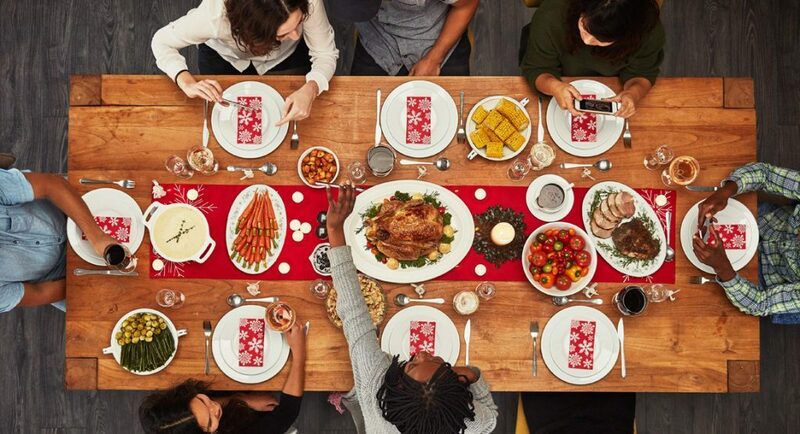 From the perfectly roasted turkey and Grandma’s famously lumpy mashed potatoes to the post-lunch snooze and “friendly” flag football contest in the backyard, Thanksgiving is stuffed with long-standing traditions. And then there’s the day after Thanksgiving— leftovers, battling ridiculously long checkout lines for debatably “good” deals, and… calling a plumber. Prepare your garbage disposal. We cook an impressive amount of food on Thanksgiving, which means we put our garbage disposals to the test. To make sure yours is ready for the overtime, give it a good clean before you get started. Put some ice and rock salt into the disposal, and run it for a couple of minutes. That will help break up any sludge and allow the blades to work more efficiently. Use your disposal correctly. There’s a definite right and wrong way to run a disposal. Unless you want us showing up for leftover turkey sandwiches, be sure to turn the water on then turn on the disposal then (carefully) add scraps. Too many people jam food down the sink before hitting the switch, which increases the chances of the impellers getting jammed, which increases the chances of your motor frying. Also, when it sounds like the disposal has finished grinding everything, allow the water to run for a few seconds longer to wash away any debris. Repeat after us: water, power, scraps, water. If your disposal gets clogged, don’t run the dishwasher. Your disposal and dishwasher likely share a drain, so if one’s plugged, that means the other is, too. Do put potato peels in the garbage can, not the garbage disposal. Don’t pour grease or oil down the kitchen sink. Do cut large food scraps into small bits. Don’t try to grind fibrous vegetables like celery and onions. Don’t use your disposal for pasta and rice. While those scraps won’t hurt the disposal, they could create a gluey clog downline. Do run cold water with your disposal, not hot. Don’t flush food. Speaking of a loss of common sense… Let’s say that despite your best efforts, your disposal calls it quits 15 minutes into your four-hour meal prep. Unless you’re hoping to create a Thanksgiving legend, please avoid the temptation to flush your scraps. Grandpa Joe-proof your toilets. Before your holiday guests arrive, make sure your toilets are in good working order. Check the flush valves and chains, test the water shut-off valves (just in case), and check for leaks in and around the toilets. If you have finicky plumbing, leave a helpful note, such as, “Hold the handle for three seconds, please,” and leave a plunger in full sight. Finally, put a small trash can next to every toilet. That way no one will be tempted to flush things they shouldn’t. Pre-treat your drains. More people in your house means more activity for your plumbing. If there’s build-up in your drains, they’ll be sluggish, which is inconvenient at best. So before folks arrive, pour ½ cup of baking soda in every drain, followed by ½ cup of vinegar. Cover the draining openings, and let the mixture soak for 20 minutes or so before rinsing with hot water. Prep your showers. Treat your shower drains with baking soda and vinegar, as described above. Also, if you’re having overnight guests, consider protecting the drains with strainers to prevent hair clogs. Finally, space out showers by at least 20 minutes to allow your drains to clear and your hot water heater to recover. Bonus tip: If you suspect plumbing issues today, don’t take a wait-and-see approach over the holidays. As your Pittsburgh plumber, we’d be happy to do a preventive maintenance check-up so you can avoid any extra Thanksgiving drama. Give us a call today!